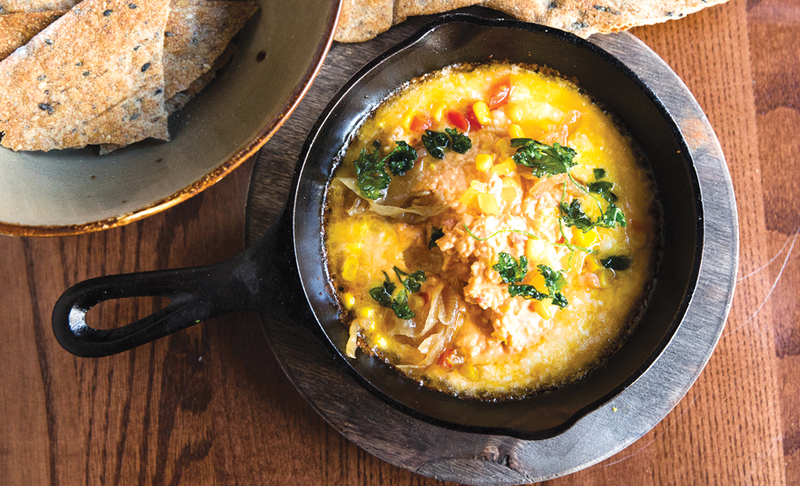 The South’s culinary legacy extends far beyond its borders. 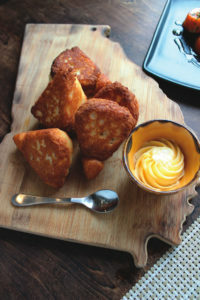 While each area of the country is known for its own distinctive flavors, recently, the Southern culinary culture has become increasingly prevalent in areas far beyond the Mason-Dixon line. Waffle House, the iconic diner chain founded in Atlanta more than 60 years ago, has expanded to over 1,500 locations across the country, including states ranging from Pennsylvania to Illinois in the north and from Oklahoma to Arizona out west. Cracker Barrel Old Country Store, which started in Lebanon, Tenn., in 1969, now has 630-plus restaurants in 42 states. Along with the explosive success of these popular chains, Dixieland-style dining is making its way into upscale restaurants from coast to coast. Critically acclaimed chefs such as Edward Lee of Succotash in National Harbor, Md., Jean-Paul Bourgeois of Blue Smoke in New York City and Tanya Holland of Brown Sugar Kitchen and B-Side BBQ in Oakland, Calif., have emerged as trailblazers, taking what was once a regional culinary style and introducing it to new audiences. As people raised in the South migrate across the country, they take their culinary traditions with them, often passing recipes down from generation to generation. Holland, the Bay Area chef and entrepreneur known for her inventive take on modern soul food, was born in Connecticut and raised in New York. But her early interest in cooking came from her Southern-born parents, who founded a gourmet cooking club for couples from different ethnic and professional backgrounds when she was a child. The region’s epicurean culture often makes an impact on travelers. They may take the culinary influences they discovered and incorporate them when they return home, or become so captivated that they extend their stay, bringing their own style to the local epicurean scene. Lee, a Korean-American Brooklyn native who competed on Bravo’s “Top Chef,” falls into the latter category. He knew very little about Southern cuisine before visiting the Kentucky Derby in 2003. After falling in love with the area and moving to Louisville shortly after, he immersed himself in the regional flavors, joined the Southern Foodways Alliance (an organization that studies and documents the local food culture) and launched successful Southern-influenced restaurants in Kentucky and the Washington, D.C., area. dating back well over a century. There are bound to be debates and disagreements anytime tradition encounters innovation. But many chefs agree that finding a balance between the two allowed them to create their own personal twists on classic dishes—with delicious results. Bourgeois, who studied in Lyon, France, and worked in California and St. Thomas before moving to New York in 2009, holds some of the strongest opinions about honoring Southern customs. Lee acknowledges the importance of preserving Southern heritage at Succotash by serving classic dishes such as fried green tomatoes with buttermilk dressing and shrimp and grits with red-eye gravy. 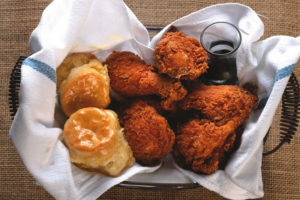 But, in boldly fusing his disparate cultural influences to create a new style of Southern-Asian fusion (see: “dirty” fried chicken glazed with sweet-spicy Korean gochujang sauce, and a side option of collards and kimchee), he’s clearly not interested in merely re-creating the food of the past. Deemed a “celebration of all things Southern,” this festival at Sea Island returns June 9-12. Over the course of the weekend, attendees will enjoy family-style dinners, a lively concert, culinary competitions and informative demonstrations. 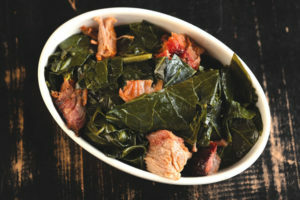 Leading up to the festivities, two participating chefs weigh in on what they’re most lookingforward to this year, and share their favorite Southern dish. 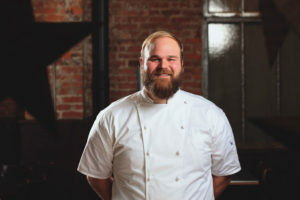 Linton Hopkins: For chef Hopkins of Restaurant Eugene in Atlanta, he’s most excited for spending time with other chefs he normally doesn’t get to see, as well as taking in the location. “I have a personal affinity for the Sea Island community: the people, beautiful resort grounds and genuine Southern hospitality that earn its luxurious yet tranquil distinction,” says Hopkins, who will be a guest chef for the Saturday evening Dinner on the Lawn event.